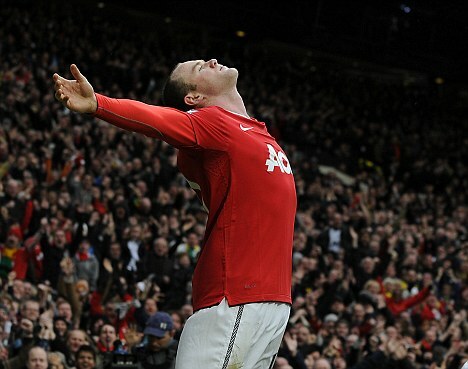 The goal was classic and a 'WOW' no wonder Wayne is still basking in the euphoria of that goal. Manchester UnitedWayne Rooney has revealed that scoring the famous overhead kick that settled the Manchester derby at Old Trafford last February gave him a 'mad rush of power'. The Manchester United and England striker hit one of his most brilliant goals in the 77th minute of a pulsating derby that put 'our noisy neighbours in their place', according to Rooney. The goal had extra spice due to the fact that Rooney had only months earlier threatened to quit United, whose ambition he had questioned, and looked set to join City, suddenly flush with Sheik Mansour's billions. 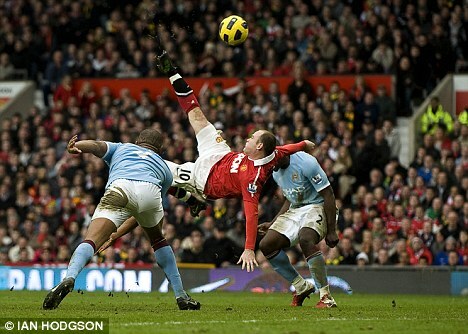 Rooney then performed a dramatic U-turn, snubbing City and choosing to sign a new deal at United in November. Then came that match - and the goal. In an extract of his new book 'Wayne Rooney: My decade in the Premier League', which is being serialised by The Mirror, the 26-year-old forward explains what it feels like to score such an important goal.